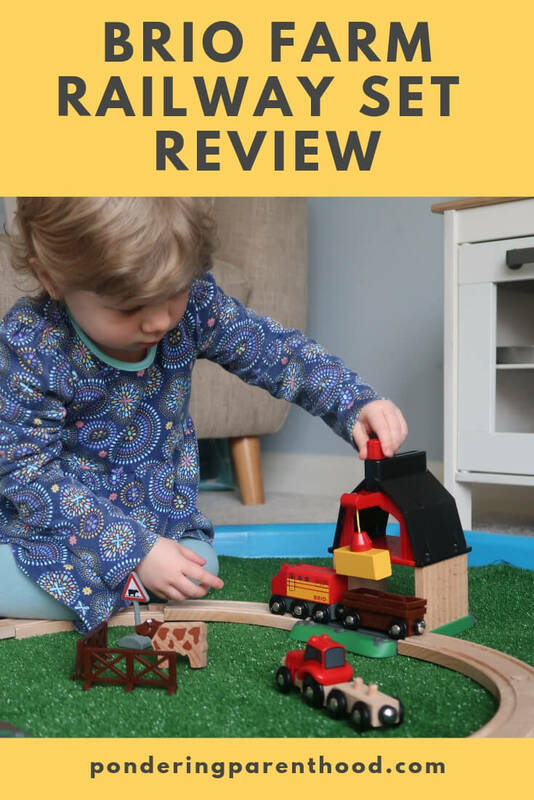 If you’re a regular reader of my blog, then you’ll know that we absolutely love BRIO. We’ve reviewed several BRIO sets in the past, and have bought plenty ourselves over the past year or two. 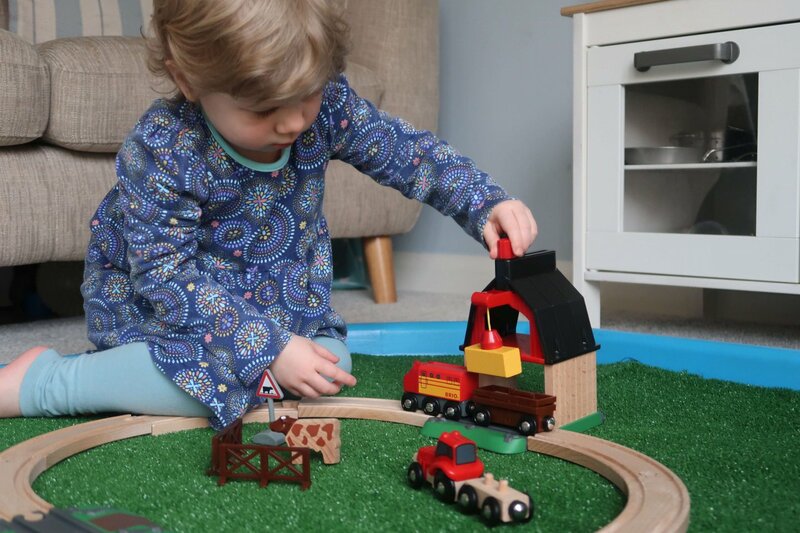 We were recently sent the BRIO Farm Railway Set to review. I was particularly excited about this, as the farm set has been on my (I mean M’s, obviously!) BRIO wish list for a while. 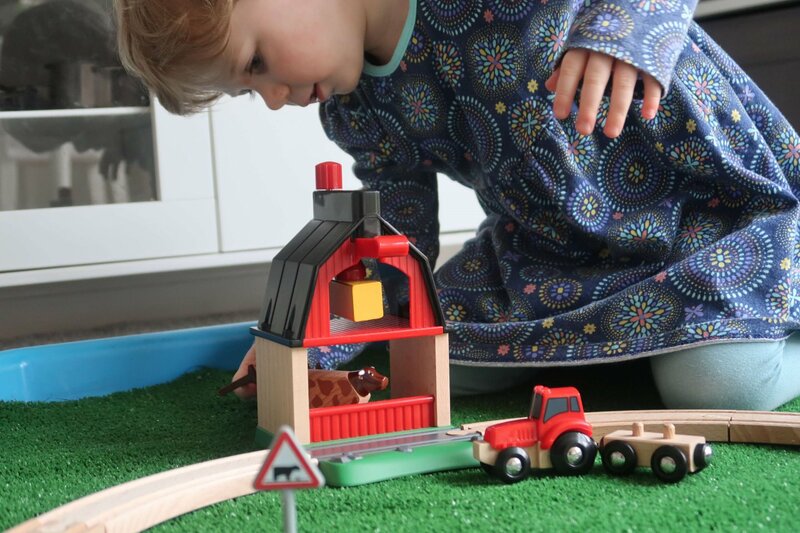 The BRIO Farm Railway Set comes with eight pieces of curved wooden track, a cattle crossing, barn with platform and hay bale, an engine with wagon, a tractor and trailer and even a cow with its own pair of little fences and a cattle crossing sign. The trailer of the tractor is designed so that the hay bale fits onto it. It can be used on the track, as well as being ‘towed’ by the tractor. Because this set has so many elements to it, I think it would make a great standalone gift, as well as an addition to an existing BRIO collection. M spent so long playing with this on its own. I think she’d have been happy if this was the only set she had. Of course, she was also delighted when we added it to our rapidly-growing assortment of BRIO, and made the biggest track that we could! I’m really impressed with how interactive this set is. 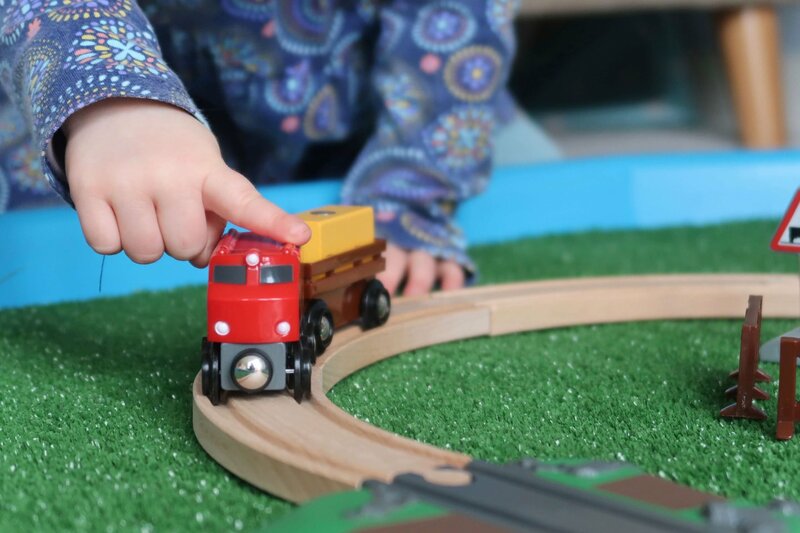 The BRIO Farm Railway Set is recommended for age 3+. While M has always enjoyed playing with BRIO, now that she’s almost three, I can see why it’s recommended for that age. M is now confidently able to put the track together herself. She absolutely adored operating the crane on the barn, to lift the hay into the loft. M also enjoyed showing her daddy how it all works, when he got home. Everything included in this set is child-operated. It’s ready to use straight out of the box, with no batteries required. 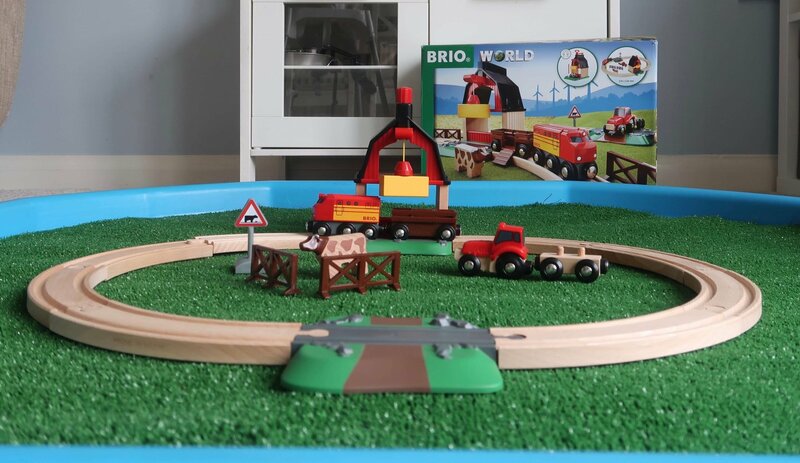 Everything is made of the high quality materials that you’d expect from BRIO, so I’m confident that we’ll be enjoying the BRIO Farm Railway Set for years to come. Disclosure: We were set the BRIO Farm Railway Set for the purposes of this review. However, all opinions are my own. If you’ve found this review helpful, then please don’t forget to pin it! "Pondering Playtime // Farm Railway Tuff Spot"